Mr. Cormier is a lifelong resident of Acadie–Bathurst. Mr. Cormier began his career by acquiring a small company to finance his business administration studies. Later appointed chief of staff for various Government of New Brunswick departments, he organized and participated in several diplomatic missions at home and abroad, and worked on high-priority local economic, social, and cultural issues. Mr. Cormier continued as a policy analyst in the Office of the Official Opposition and as an assistant to the current Premier, the Honourable Brian Gallant, responsible for Northern New Brunswick. Mr. Cormier was a board member of the Caraquet Chamber of Commerce and organized several minor and adult hockey tournaments. He was also involved in the Club de Golf Pokemouche for many years. Mr. Cormier and his wife Anick have two daughters, Arianne and Chloé. 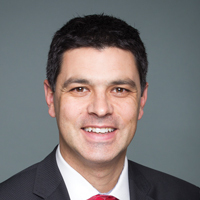 Mr. Cormier has served as a Parliamentary Secretary since 2015, and is currently Parliamentary Secretary to the Minister of National Defence.